HTC has been widely regarded as a ‘struggling’ company even from two years ago, and even now the company doesn’t seem to have found ‘its way’. As we were saying back in April, the company seems to be lost in the past, as it keeps pushing new devices that have a too familiar look. 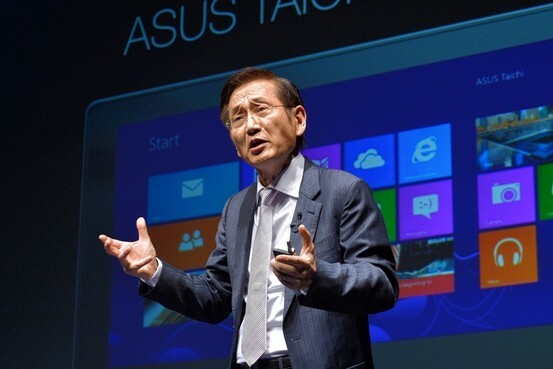 Now, a fresh report coming from business publication Reuters seems to be suggesting that Taiwanese company Asus could actually be interested in taking over the company. Of course, this is actually a bold statement, but that’s how these deals usually get born – from an idea, a hearsay or somebody’s hot beans spilled all over. This time, it’s apparently Asus’ CEO Johnny Shih who made the comment in response to questions raised at its annual general meeting. The information has been supplied to Reuters by the Chief Financial Officer David Chang, a top-executive at the company, so this information is coming from the lances’ tip. The most recent big acquisition in the smartphone market was when Lenovo acquired Motorola from Google (who acquired it back in 2011) and this has prompted the company to increase its presence with new products. And when you look at it, Asus is currently also in a position where it’s approaching carefully the phone market, but with some noteworthy devices, as as the ZenFone 2 with 4GB of RAM. So could it be considering to buy HTC to consolidate its presence? Only time will tell.